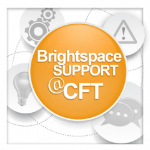 Vanderbilt instructors have a number of options for seeking Brightspace support at the CFT. Or check out our on-demand resources, workshops, or drop-in support hours. Learn about adding TAs and other users to your Brightspace Course. 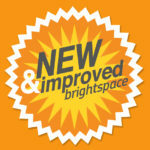 Users can contact Brightspace support at the CFT by phone Monday-Friday 9-5. Our Brightspace hotline is 615-322-0200. The CFT hosts drop-in hours, during which instructors who have Brightspace questions can stop by the CFT without an appointment to find a team of specialists ready to assist. See our Drop-In Hours page for the current schedule. A growing collection of on-demand Brightspace resources can be accessed 24/7 on the Brightspace website through the On-Demand Resources page. 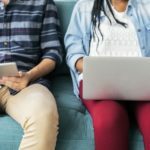 Text and video walkthroughs are available to help instructors with a number of frequently asked questions. Occasionally during the year, CFT staff will run Brightspace workshops for instructors interested in learning how to use Brightspace tools effectively and efficiently. See our Workshops page for the current schedule. CFT staff are also available to facilitate Brightspace workshops on topics both general and specific for departments, programs, and schools, upon request. Email brightspace@vanderbilt.edu to initiate a request. Instructors can also email brightspace@vanderbilt.edu to schedule an individual consultation with a member of the Brightspace team, ideally at least 24 hours in advance. 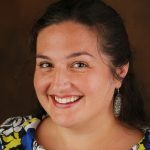 This option is particularly helpful for instructors who aren’t sure what kind of technology (Brightspace or otherwise) might best match their teaching goals. By shifting Brightspace support to a more centralized model, with multiple Brightspace specialists housed at the CFT, Vanderbilt instructors will receive more robust assistance in using the course management system efficiently and effectively. We look forward to providing pedagogical and technical support to Brightspace users in the Vanderbilt community.